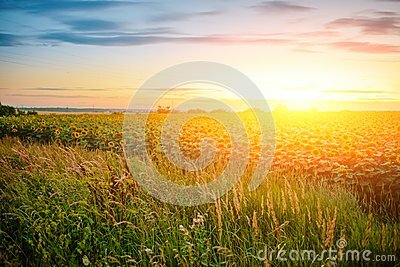 A plantation of beautiful yellow-green sunflowers after sunset at twilight against a beautiful light sky with fluffy clouds. Green tea bud and fresh leaves on blurred background. Old house in green rice field.